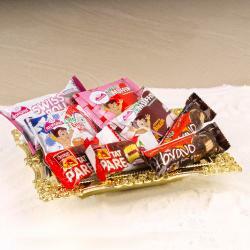 Product Consist : Decorated Merry Christmas Banner with Bell along with Bravo Chocolate and Cakes like Tat Pare, Swiss Roll, Muffins (Total Weight : 200 gms) nicely arranged in a nice Tray. 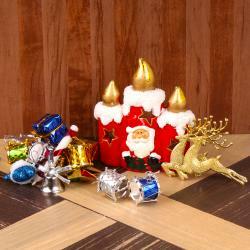 Giftacrossindia have showcases a wide range of interesting gifts for Christmas. Here a hamper full of merriment and happiness is surely the one we have here for you that surely surprise your recipient and get impressed with your choice of gifting. 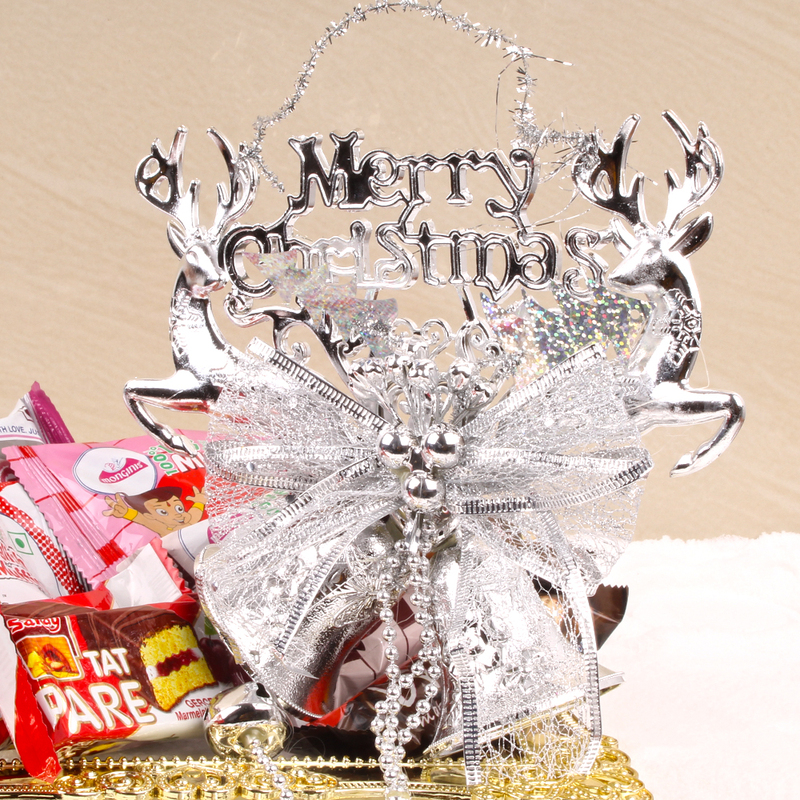 This hamper comprised with Decorated Merry Christmas Banner which made out of finest plastic material with net decorative bells with pearl chain and big bells along with Bravo Chocolate and Mix floured Cakes Packets. 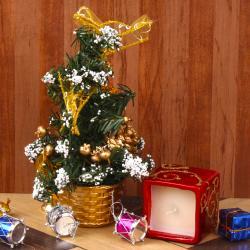 This is best gift ever received on Christmas which makes your dear one Christmas celebration more special. Product Consist : Decorated Merry Christmas Banner with Bell along with Bravo Chocolate and Cakes like Tat Pare, Swiss Roll, Muffins (Total Weight : 200 gms) nicely arranged in a nice Tray.